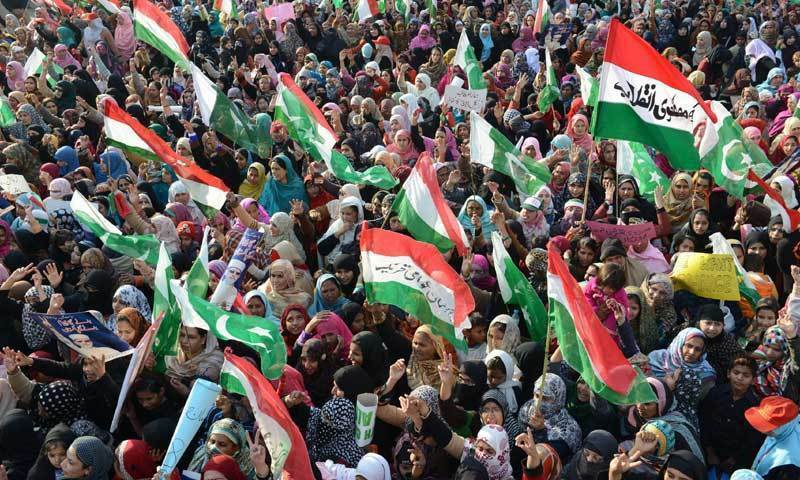 The Lahore High Court (LHC) on Wednesday reserved its judgement on a petition filed against the Pakistan Awami Tehreek-led (PAT) protest being held on The Mall today. A petition against the rally was filed by Advocate AK Dogar in the name of the lawyers’ forum yesterday and was accepted for hearing. The petition noted that protests called by political parties are against Article 124 of the Constitution. It added that such protests may cause disruption in the country. Earlier today, a three-member larger bench, headed by Justice Aminuddin Khan, heard arguments from the petitioner and the lawyer representing PAT. Advocate General Punjab Shakeel Rehman and former governor of Punjab Lateef Khosa were present in the courtroom for today’s hearing. The home secretary, however, was not present in court and his absence was noted by the bench. “He has a responsibility, he should have been here,” the bench had remarked. “Protests have been held in the past, the government has been sleeping,” he had said, adding that the government can use water cannons, tear gas and rubber bullets to stop the protest. “Democracy does not mean that the rights of the ordinary man are done away with,” the bench had remarked. “Now the matter has moved beyond resignations. PAT is now asking for the removal of the whole PML-N government,” he added. The verdict is expected to be announced shortly.